The Warehouse Foodhub and Activity Center collaborates with Night Owl Productions to provide live performances from the best local artists. Starting July 13, 2018, The Warehouse Foodhub and Activity Center, in partnership with Night Owl Productions, will be getting some of the country’s hottest bands to perform in the food hub located at 54 Coronet st. corner Consul st. Regalado Avenue, Quezon City. 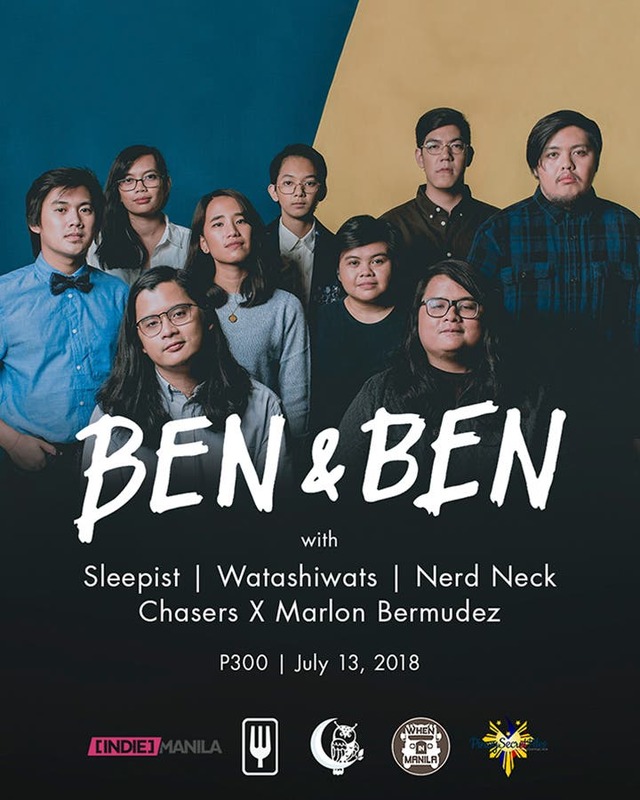 The first in the series will feature indie folk-rock band BEN & BEN, one of the most popular bands at the moment, along with Sleepist, Watashiwats, and Nerd Neck x Marlon Bermudez. Once a month, they are planning to feature one major artist along with a few up and coming independent artists. This would also be a great platform to give aspiring artists an opportunity to be heard by the public. You can get your tickets for P300 at The Warehouse itself or you may get your reservations online. The event starts at 7:00 PM but the food park will already be open to customers at 5:00 PM daily. The Warehouse Foodhub and Activity Center is a startup food park in Quezon City. They have a wide selection of dishes catering to everybody’s taste buds. Night Owl Productions is a non-profit organization that mobilizes events promoting the local independent scene in the Philippines. Check out their pages at https://www.facebook.com/thewarehousefoodhub/ and https://www.facebook.com/nightowlproductionsph/ respectively. Manila International Auto Show 2014: 10 Car Crazy Decades! League of Legends Rampage Returns for its Fourth Year!